You know what that means! Beauty day! These are a few things I found online that peaked my interest. I’m all about lip and nail colors that stand out, but natural eyes. Is that weird? I want someone to be able to look into my eyes, not have to look for them behind all the eye makeup. Don’t get me wrong, I like the smokey eye, but that’s more of a Saturday night thing :) not everyday. Take a look at a few of my finds for today! 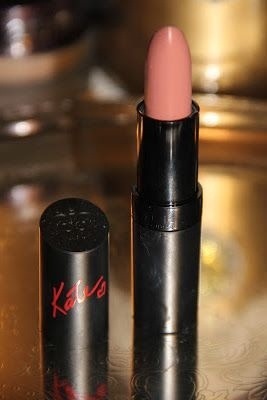 First of all, if you don’t have a Kate Moss lipstick, shame on you!! Her line has some of the best color palettes. I particularly like her matte red lips. Makes me feel sassy! Another lip! My name is Tiffany and I have a lipstick addiction. To me, your face can be bare and lipstick will make you pop and look amazing. It’s all you need, if you’re in a rush, grab your lips! You can’t go wrong. I love this pinkish/fuchsia color. Perfecto! It’s funky but I like it! The colors go so well together. This look is perfect no matter what the season. 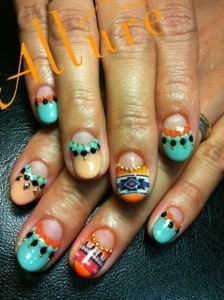 The colors actually make me want to go lay out on the beach or by the pool. Very warm. This is a natural smokey eye I talked about before. This is a look that can pretty much be worn everyday. Very simple. Chic. And then we have the dramatics I LOVE! Dark lips, dark nails. It makes you look very mysterious. The lip alone has my heart. But the black nails top it off. Black is simple. It’s my go to nail color when I don’t have something vibrant. You can never go wrong with black. What are your favorite beauty products/tips/tricks/stuff? !